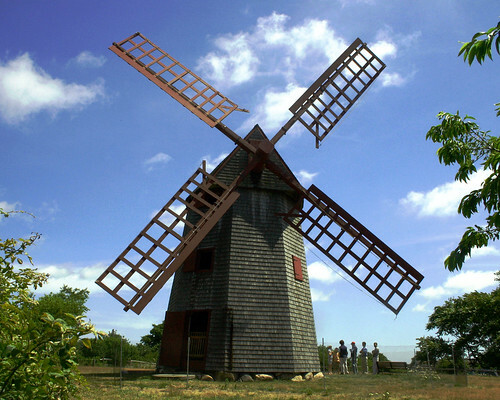 The Windmill at trisection of the Prospect Street of the York Street in Nantucket is the oldest functioning mill in USA. "Built in 1746 by Nathan Wilbur, a sailor who had spent time in Holland, the "Old Mill" is the oldest functioning mill in the country. 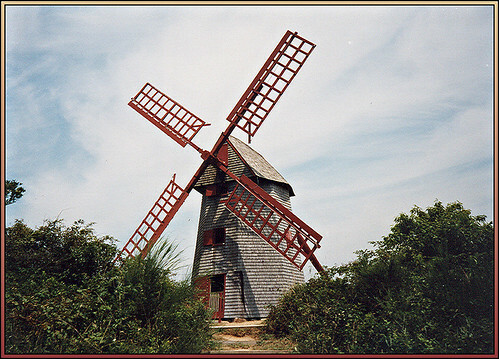 It is the only surviving mill of the four "smock mills" that once stood overlooking Nantucket town. 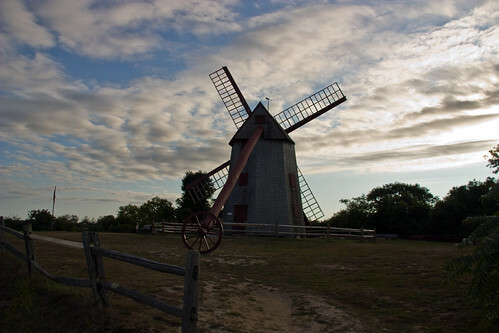 There was a fifth Nantucket mill called "Round-Top Mill" on the site of the present New North Cemetery. Smock mills have a fixed body containing machinery and a cap that turns to face the sails into the wind. The Old Mill was sold for twenty dollars in 1828 to Jared Gardner in deplorable condition for use as "firewood." Instead of dismantling it, Gardner, a carpenter by trade, restored the mill to working condition capable of grinding corn. The mill was sold once again in 1866 to John Francis Sylvia, a Portuguese miller of Azorean descent, who operated it for many years with his assistant Peter Hoy until it fell into disuse in 1892. In 1897 Miss Caroline French purchased the mill at an auction for $850 and donated it to the Nantucket Historical Association."